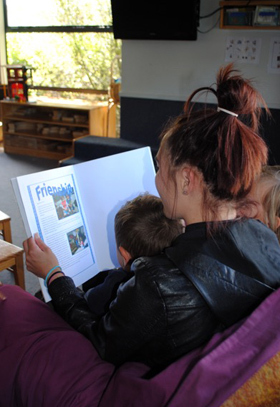 Welcoming families to our centre is important and we believe children's learning and development is optimised when we all work together and support one another. Our family and Centre partnerships are built over time with the focus on enhancing children's learning and well-being. Portfolios or profile books are kept for every child and contain learning stories, photographs, and document their interests, learning and development. These books are valuable planning and assessment tools for teachers and are also invaluable tools for communicating with parents/caregivers. Within the preschool programme we prepare children for their transition to school by supporting and extending their curiosity for learning. We encourage our children to be resilient, resourceful, creative problem-solvers that are able to work within a group or independently. We support children in becoming responsible, confident and self dependent by providing an environment that is respectful to their individual needs. Partnerships between parents, caregivers and educators are based upon trust and sharing of knowledge. 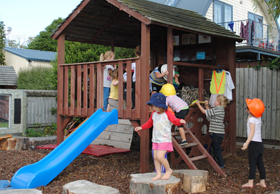 Our educational programme links comprehensively to the New Zealand Curriculum Framework and provides a foundation for children to become competent and capable in preparation for their school years.